I started blogging in November 2012 so I’m still a Newbie. I feel very welcomed into the Blogging World and honestly cannot figure out why I didn’t start sooner. I enjoy meeting fellow bloggers and being introduced to fantastic books that I otherwise wouldn’t have known about. My ALL TIME favorite is Harry Potter by J.K . Rowling. My now favorite is Pale Demon by Kim Harrison. So much...I had never heard of imprints. I didn't know anything about the process of marketing a book, either traditionally or via social media. One of the nice things about blogging is that both authors and publishers (or at least a lot of the worker bees associated with publishers) now feel human. There's still a lot about the publishing industry I don't know, but I love the feeling a little familiarity. I also feel like there is so much I don't know about the publishing industry as well. I haven't heard of imprints yet, so that one is new to me. I have been delving into the marketing aspects just to pick up more. It's pretty fascinating and there is a lot to learn. Thank you so much for hosting such a great weekly meme. I couldn't agree with you more, Alison. While I respect and appreciate authors for creating the medium that provides me with my number one form of entertainment, I do see them as more human. After some interaction, I have found some lovely people behind those books and have enjoyed that aspect of it greatly. Hey Great F&F! New Follower. I took a social media marketing class and for authors, it is the most beneficial to them. I mean really you can't go to a blog without see a blog tour or something similar. It is so important for them. I love really tech savvy authors! Stacey Kennedy is really awesome about her social media stuff! 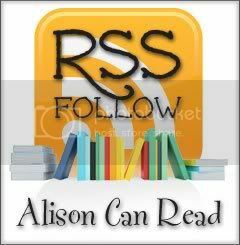 I really love feeling a bit more familiar with the publishing world too Alison! I'm still in the dark on a lot of things, but it's fun for me to sit in a bookstore and recognize every book on the YA shelf because I've watched the cover reveal for it, seen it on someone's WoW, read early reviews for it, etc. Happy Holidays! I didn't know much about imprints either until I started reading and blogging more . . . but for me I've learnt so much more about the publishing world such as self-publishing books and how most writers nowadays can connect with you over social media so I'm really glad for that. I agree! It doesn't seem so intimidating anymore! And you have the opportunity to make great connections with your favorite authors! I agree. Blogging has certainly helped me learn more about the publishing world. This fun and inspirational community helps bring readers and authors together. I feel like I learned a lot about the publishing world ever since I started blogging too! Also feel like I've barely scratched the surface! Great question! I've also learned so much! Wow, I don't think I've heard of imprints before. Yet again, I am still pretty new to this blogging community. You can find my FF post here. Congrats on the feature! Great answer! That is a great answer!! They are people too, not machines!! I completely agree with you there, it has been made a lot less daunting that's for sure. Here's my FF :) I also have a giveaway running at the moment if any are interested :). there is always something to learn, knowledge never stops. I haven't heard of imprints yet, but there's so much to learn about the publishing industry. Thanks for stopping by my FF. True! Authors feel much more human, and relatable. Netgalley is the best site ever for free galley. I really helped save some money.